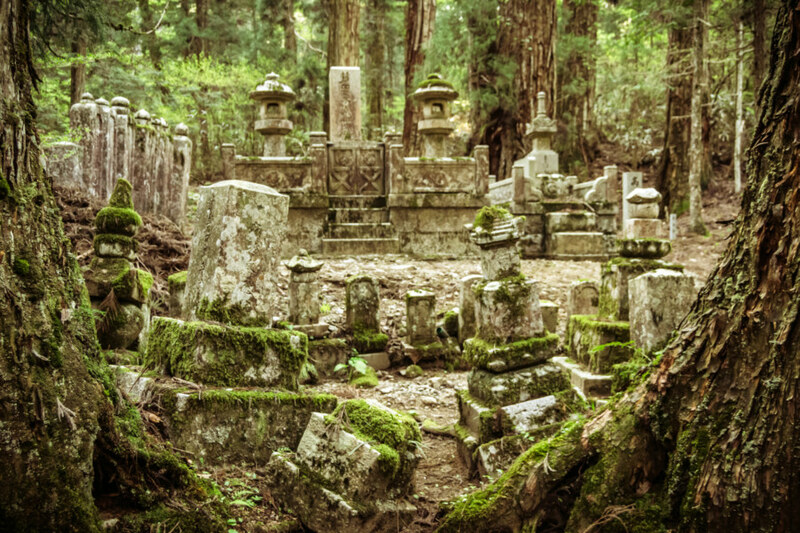 A few of the incredibly old gravestones in the cemetery outside Okunoin in Koyasan, Wakayama prefecture, Japan. 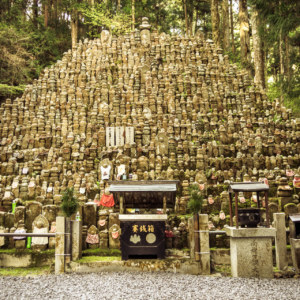 Today I had the good fortune to visit Koyasan, home of Okunoin 奥の院, the mausoleum of Kobo Daishi, a legendary Japanese monk, and the largest cemetery in Japan. It was a beautiful walk among the tall cedar trees of this high mountain valley selected for it immense natural beauty and topographic resemblance to a lotus flower. Along the way I captured this scene amidst the ancient tree trunks—stone markers, some covered with thick layers of moss, all looking as if they had been there for the last half of forever.